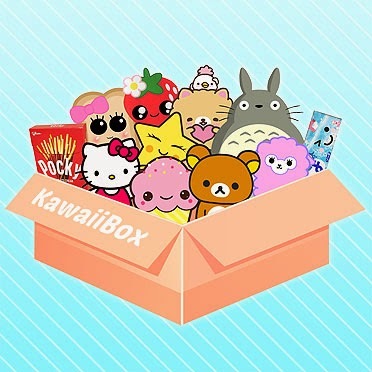 Finding a suitable gift for a man can be quite the challenge I feel! If it's not socks and pants then we can get a bit lost in the world of 'what men want', but there is no need to be, we could get them into a new hobby! 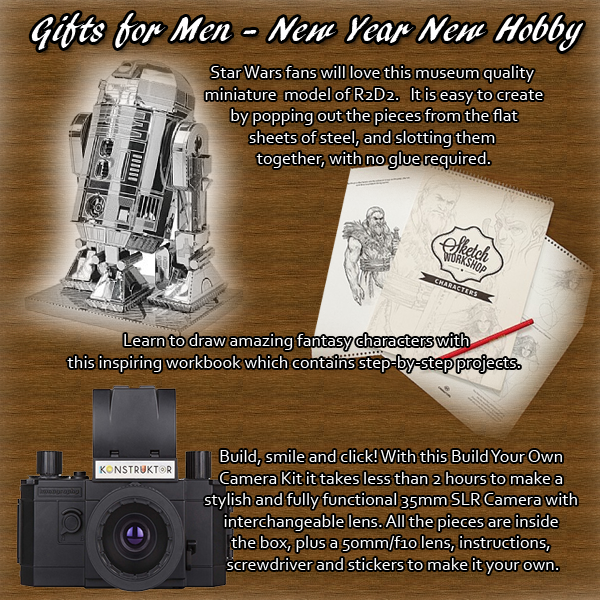 From the kits available I've listed my top 3 below, and I'm sure it will come as no surprise that my ideal kits have a Star Wars theme, Super Hero theme and a gadget idea - Really loving the thought of building my own camera! 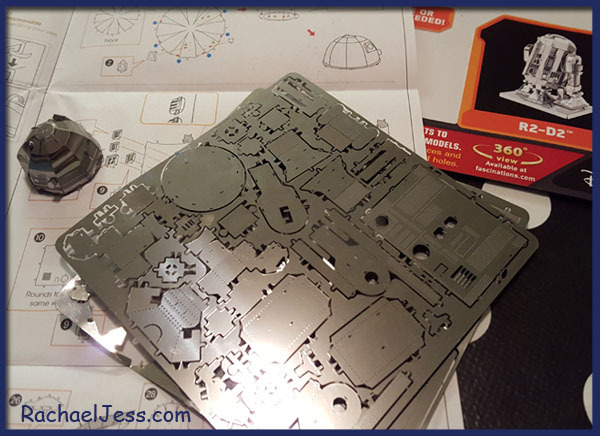 Anway, back to men..... the man in my life is a huge Star Wars fan and we were very fortunate to be sent the R2D2 Construction kit to review. This is a pretty impressive little piece of kit! 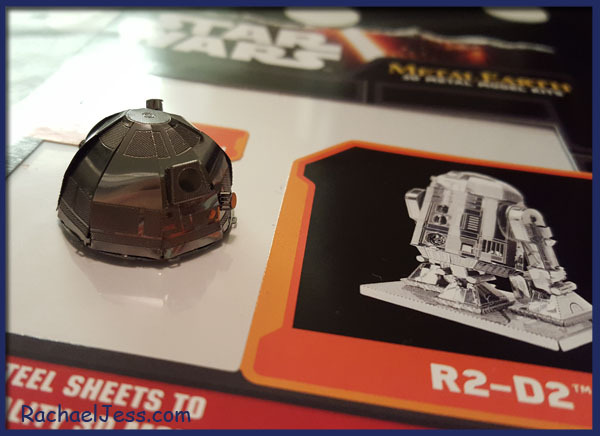 There are several flat pack sheets of steel that you pop out and put together. So over the weekend once the little one was asleep my man set about making R2D2. This is a very detailed construction and requires some patience and nimble fingers, needless to say, we have the head done so far, and it looks very impressive! This particular new hobby will cost you £11.99 from Presents For Men and is aimed at ages 14+ which I think is reasonable. The image above doesn't show off the droid as well in the picture, but that's just my lighting, as it takes shape is it rather impressive and I can't wait to see the final product as I'm sure I know exactly where this will sit. I do love the idea of introducing a new hobby as a gift, it's slightly risky, but I bet it will be a present that they won't guess - is it just my man that can guess his present from 100 yards away wrapped in a towel, hidden in a box?? 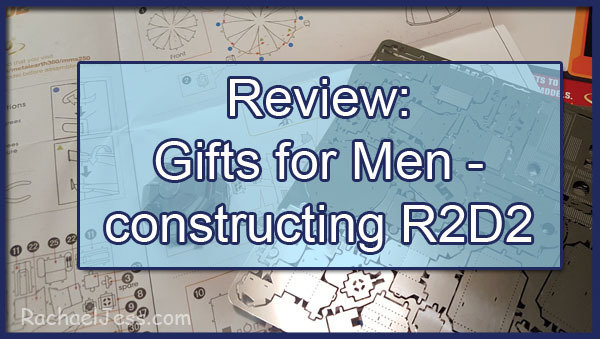 Disclaimer: I received an R2D2 construction kit to review.